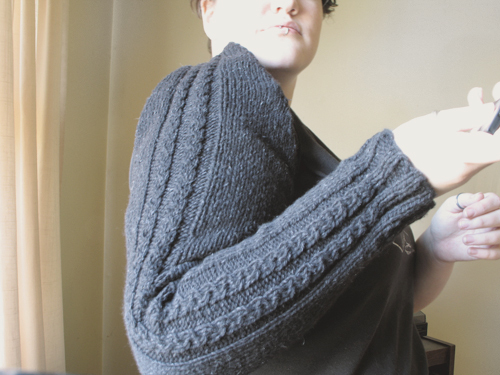 Can’t wait to see the whole sweater – I like the sleeve so far. It’s not a sleeve… yet. Ack. Didn’t mean to reply to Jo. I love the cable detail!